I hope your Memorial Day weekend was wonderful! Ours certainly was. 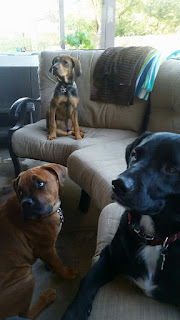 We got to spend time with the kids, and the pups - at one point we had six running around. It was chaotic and fabulous! I loved every moment! There were lots of fun memories shared of our recently lost loved one, with much laughter and some tears, We expressed appreciation for those in service to our country, including family & friends - and respect & gratitude to the ones who gave all. We looked at vacation photos, including so many war memorials we saw throughout out trip. There is a beautiful sadness and elegance to the way heroes are honored. We had lots of food, fun, and sun. Even ending the weekend with an epic water volleyball game. I still say it was a draw - no matter what the guys say. Lol. It's always so good to have my family gathered close. We were missing a few, Ariel and Bethany were both away, which was a bummer. Still, it was a full and phenomenal weekend. This week has more fun and family - We'll be driving up to Sacramento for my nephew's graduation party. How the heck did he get old enough to graduate from High School??? Oh dear! We're heading to San Diego first, then driving the rest of the way with Shi and Jared. It's going to be awesome! In garden news, my sunflowers are blooming, I've got 3 pumpkins growing fast, with more on the way. Zucchini is still flowering like crazy, but so far it's only male flowers - hopefully I'll be seeing the female ones soon and my peanuts are flowering, too! I love looking out from the patio and seeing so much growth and productivity. For someone with such a notorious brown thumb, this is truly a miracle. Lol. Plus, my little gnome village is so fun! Today I'll be adding to the garden, doing more work swapping out my spring stuff (cabbage, cauliflower, broccoli) for the summer stuff (green beans, more sunflowers, and maybe a few other beans), more mulching, a bit of weeding. I'm looking forward to it. But first... more work, errands, and I've got a much needed appointment with Kayla ;-) I'm still sore from the last one, lol. 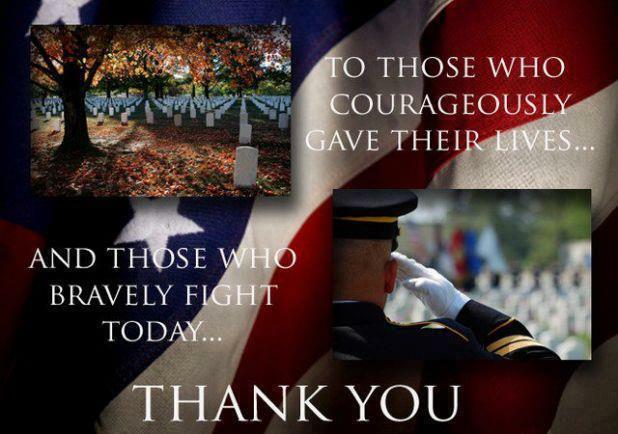 Though I know today is no longer Memorial Day, I'll end this post with my most profuse gratitude for those who's sacrifice has provided the freedom I experience every day.